Have you found a broken link in this list? Let me know via the comments. Accademia nazionale dei Lincei. ; Istituto nazionale di archeologia e storia dell'arte (Italy); Accademia nazionale dei Lincei. Atti. ; Reale Accademia d'Italia. ; Reale Accademia d'Italia. Arqueología y Territorio: Revista del Programa de Doctorado "Arqueología y Territorio"
Memorie Enciclopediche Romane sulle belle arti, antichità Ec. Revista del Instituto de Historia Antigua Oriental "Dr. Abraham Rosenvasser"
Systasis: E-Journal of the Association of Classical Philologists "Antika"
Teaching Classical Languages (TCL) TCL is the successor to CPL Online. To see the CPL Online archives, click here. Trabalhos de Arqueologia da E.A.M. Congratulations on the initiative. Remarkable! and the new e-library of Coimbra University, called Classica Digitalia (http://bdigital.sib.uc.pt:8080/classicadigitalia_eng/). The access and download are free. It may be added "Byzantion"
Thank you Serge. Byzantion (http://www.kbr.be/~tnazyb/) is a good journal but not available online open access, only by subscription. Hello! This is amazing! Thank you very much. Thank you Fernando! I have added it. Thanks for your comment Dom Com. I added Préhistoires méditerranéennes about a month ago (http://ancientworldonline.blogspot.com/2009/12/open-access-journal-prehistoires.html), and have all the pertinent titles from persee.fr and revues.org. Do you know of specific titles I have missed from those collections? Could you add....Le Journal des Médecines Cunéiformes ? Thanks for the comment Brian. Aside form the TOC at http://www.ames.cam.ac.uk/jmc/en.html I have not seen the journal online. If it is, I'lll happily add it. Is it possible to add KASKAL? KASKAL is not available online. If it was, I would add it! Is it possible to find a link to "Anatolian Studies" from the British Institute in Ankara? I cannot access it through my school's JSTOR subscription, although it shows up in online searches as being in JSTOR. Thanks for your wonderful work in helping to make all these diverse works accessible to the public. It has been fascinating and enlightening. Demetria, yes Anatolian Studies 1951-2006 (Vols. 1-56) is accessible to licensees at JSTOR. For the link see The Ancient World in JSTOR, where I list all journals in JSTOR with substantial representation of the Ancient World. If you really cannot gain access through your home institution, bring it to their attention. Thanks for the comment Alexander. Periodicals Index Online does indeed list many e-journals - it has 175 titles under the rubric 'Ancient Civilizations'. None of them are listed in AWOL's Alphabetical list of Open Access Journals in Ancient Studies because they are not open access. It has recently come to my attention that open access does not mean non-peer reviewed. However, in reality, how many of these publications are peer-reviewed? 25%, 50%, more? Proceedings of the Society for California Archaeology: Abstracts (1988-2004; vols. 1-16) and Articles (2004-present; vols. 17-22). Sorted by volume/region/author/topic. great resource, but I am having problems finding many of these tiles on ABZU. Only a small proportion of those tried are findable when searching ABZU by journal title. Am I missing something ..? Thanks for the comment. Many of the journals listed here are outside the scope of Abzu, others just simply have not been added yet. Someday soon? I hope? Thanks for listing our publication and for making this wonderful list! My pleasure! Will the first issue of Studia Antiqua ever be digitally accessible? Thanks Allison. I've made the correction! Here are some other Romanian periodicals withh free access. Thanks! Thanks! I have added it. And by it, I mean all three of them. There are a lot of online journals in Romania. In addition to the ones you've already mentioned, here are some of the ones that I know about it. The Romanian Journal of Archaeology. The national student journal BCSS. (Although it's a student journal it's refereed). The university in Alba Iuila. The museum in Timisoara has some recent journals online. The university in Sibiu publishes books and journals online. The museum in Sibiu also publishes online books and journals. There are publications of the National Museum in Bucharest here. If you're interested in quaternary geology, palaeontology or geoarchaeology a good journal is Studia Geologia the journal of the Geology department at the university in Cluj. Thanks Ursus, I have included them. Thank you, thank you, thank YOU, Charles! This is an absolutely invaluable list! Great work! Also Estudios de Cultura Nahuatl and Estudios de Cultura Maya, both available from UNAM. Thanks a lot. It is really a feast to the mind. Systasis - publishes articles related to antiquity and classical languages. It is published by the Society of classical philogists Antika from Republic of Macedonia and is available on www.systasis.org. On my blog, I gather open access material related to the Black Sea in Antiquity. There are some online journals. Thank you spartokos. I have added most of the journals you list, and an entry for your excellent blog. Hi, I've just found a broken link: Studia Orontica. Thanks. Yes, Studia Orontica's domain was taken over by pornographers. I've removed the links pending a resolution. Sadly, it is not archived in the Wayback Machine. Thank you Alessandro. A have added it. Compact Memory is a very interesting collection, I know it well, but the content does not relate to antiquity so far as I can see. Its a bit hard to use, but works fine (the last five volumes are password-protected). Thanks. I have now included Archeomafie. The link to the first volume is broken, can you assist? Thanks! It seems to be working now from here. The one in the list is broken. Any chance that Proceedings of the Cambridge Studies in Classical Philolog or Liverpool Classical Monthly could ever be located/added? It would take me weeks to sift through all of these wonderful sites. I'm so glad I found you, especially considering I'm an archaeology/linguistic student myself. I love finding new resources for papers. I personally have a site called Ancient Digger (http//www.ancientdigger.com). It's been live for over two years now and it traces my steps into the field. I also like to publish my papers on AD so that others seeking undergraduate degrees can see how to prepare and what they have to look forward to. Thanks again for this amazing and educational list. I didn't know TÜBA-AR (and TÜBA-KED) were online. But I found and added them. 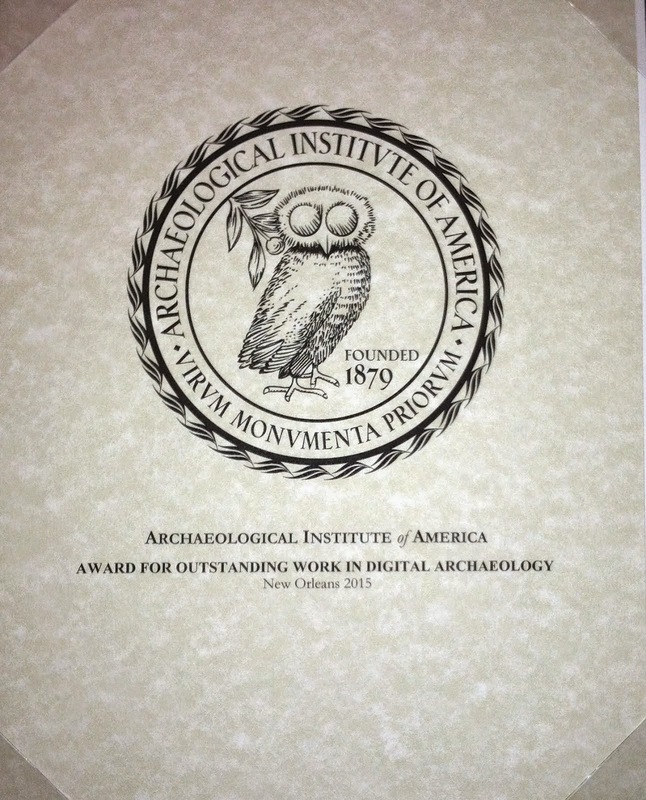 Thank you for this wonderful work in ancient studies! Thanks Alice Haddad! Got it! Thanks for this impressive ressource. I think the Africa Ialiana outage is temporary. Africa was served from the website of the Ministère de la Culture et de la Sauvegarde du Patrimoine in Tunis. All the ministry websites are being revised. We;'ll see if it reemerges somewhere. Yes, I have been aware that the journals at http://periodici.librari.beniculturali.it/ have been dark for some days. They do not seem to have been crawled by the Wayback Machine at the IA. A message at the host institution (http://www.archeologica.librari.beniculturali.it/index.php?it/141/news/17/avviso-al-pubblico-problemi-di-visualizzazione-dei-periodici-digitalizzati) reads: "07/12/2011. Si avvisano i gentili utenti che la visualizzazione dei Periodici Digitalizzati è momentaneamente sopesa a causa di problemi tecnici informatici. Ci scusiamo per il disagio"
I have written and asked for a prognosis. Thanks for commenting Eleni. I believe I have already included all the Hrcak (http://hrcak.srce.hr/) titles relating to antiquity. If there are some that I have missed, I hope readers will inform me. As a rule, I have not included the aggregation sites in this list, but perhaps I should? Thanks. I have updated the links to ὅρμος. Thanks Carlos. I have added it. The defunct Annual Review of the Royal inscriptions of Mesopotamia Project and the long gone Mitteilungen des Instituts fur Orientforshcungen (MIO) would be desirable additions, i think. A. Kirk Grayson's, long out of print, Babylonian Historical-literary Texts, where newly al of the cuneiform copies except for one fragment are published in that thin tome and SUMER , which has photos and line drawings of texts only in its annual. I should have bought Graysons a few years ago when I saw a copy for $75.00. Now some greedy knuckleheads have priced them at between 320-350. The MIO set at Penn. is as far as I know not any in Van Pelt as of 5years,unless Prof. Leichty took to the tablet room. Chuck, I bought a mint condition Ahhijawa-Urkunden about 9 months ago from Better-World Books for $6.50, it came from Penn. was officially discarded so it seemed to me because I worked there a long time ago. Guess who the last person was to check it out in 1991? Creepy, isn't it?I looked at their inventory but it seemed to be the only Penn. book in Indiana. I think the MIO set among other volumes probably went by similar routes. Sorry about the typos. I had a neck fusion in which some portion of my right hand is still benumbed although i can move it and my fingers. the left is far worse with less mobility. I can't type either, but I never could. Grayson's Babylonian Historical-literary texts nearly all of the tablets except for one fragment are only published in that thin book. The MIO set at Penn. is as far as I know gone when I looked thoroughly in the stacks, closing stacks, along with searching the library's database Unless, someone took the set to the tablet room . They most likely had the same fate as the original near mint condition Ahhijawa-Urkunden I bought last year along with being the last to check it out about 20 years ago. With regards to the ARRIM volumes, as of January 2007 they were still available for purchase from Canadian Society for Mesopotamian Studies. They still were not expensive. I do not know why I did not get them. I was away for some time. I came back and looked only to discover that there was no CSMS website sometime around the beginning of 2009. I found the old printouts from 2007 and discovered that the CSMS site was back up last year offering its annuals and subscriptions for sale, but no ARRIM volumes. I have yet to get around to calling them. I probably will within the next couple of weeks. I was especially interested in Grayson's edition of the Puzur-Sin inscription with its only published cuneiform facsimile along with other articles. With SUMER, I swore I had more than one cuneiform copy of Postgate's drawing of Tigleth-pileser III's Mili Mergi rock inscription. Some things such as Mili Mergi I would have had more than one cuneiform copy along with having checked it off back in 1994 in the Tadmor volume I got in addition to other related material from 1994 to 1999 when I am sure that I had it and many other items too. I like what you, Prof. Tinney, and others have done to assemble this whole network. it has saved me some long trips. I wish this existed in the early 90's when I had 24hr days that never seem to have ever ended. I could had 3-4hours of sleep a night back then.it would have made some difference. Good Work, Bravo,Encore! P.S. I never meant to be anonymous, I just don't want to sign up for any more cyber gismo's. I have a stupid question, how do I get a Url or whatever is needed which allows an institution subscription? The JIES told me that I could get their on-line subscription as an institution of one if I provided them with a URL code or other. I am done. Do you know if "The Journal of Egyptian Archaeology" will become available for AWOL as an open-access journal? Thank you for your time and work on this great blog and wonderful links. This open-access journal could represent in your very useful list. Thanks very much, very nice! I have added it. Thanks for AWOL, certainly an impressive ressource. Thanks Juan Francisco. I've added them! Thanks. I'm working on that one. Africa [click and scroll down to Bibliothèque Numérique] takes me to a "forbidden" page. Thank you. Yes, thanks. Bulletins et Mémoires de la Société d’Anthropologie de Paris is already listed above. Excellent. I'll add it presently! does anyone has any idea of where to find the text of Archäologischer Anzeiger, year 1933? Thank you Spartokos. I'll add it this afternoon. Thanks and congratulations for your Herculean work. Can you add L'Africa romana? Thanks to the Sassari team too. Thank you Alex. I've added Africa Romana. The journal focuses on history, archaeology, linguistics, literature, philology, manuscript studies, art history, ethnology, anthropology, religion of Ethiopia, Eritrea, and the Horn of Africa, their methods, and related issues. Can you add "Littera Antiqua" www.litant.eu ? It's a Polish-English journal of Antiquity. Thanks Euridice, I have added it. Thanks for letting us know about Opuscula. I've added it to AWOL. Most of the Romanian journals, such as cercetari numismatice, are broken, and the Starinar link brings one to the wrong page. and those seems to be a temporary server issue. If there are others with problems, please let me know. Starinar link brings me to State Archives of Assyria Bulletin, not Starinar. I am getting "page cannot be found" for Apulum. Acta Musei Apulensis. Thanks for pointing that out. Starinar is now fixed. Reload or clear your cache. Apulum is now fixed. Reload or clear your cache. Thanks for the suggestion. ARYS was already in AWOL, but I updated the entry today. Thanks Juan Rodríguez Somolinos! Parekbolai is in AWOL. I have had access to this great service only for a couple of months through SBL. It is a wonderful offer, far greater than anyone can fully use, with so many links, blogs, and so on. Thanks a lot! Thanks spartokos, I'll add it this afternoon. Do you know if journals of CHIRON (Communications from the Commission for Ancient History and Epigraphy of the German Archaeological Institute) of Munich are available or could be made available here please? You might like to add TEKMERIA journal (http://tekmeria.org/index.php/tekmiria) dedicated to the study of the ancient world. The journal that has been recently updated to the OJS system, volume 11 (2012) has been published recently and is currently accepting papers for the next issue. That is great deed, Thanks. Thank you for including some of our eJournals (Historical Review, Tekmeria, Byzantina Symmeikta, Deltion of the Christian Archaeological Society). Could you please consider also including the latest addition to our open access peer-reviewed eJournals, "Eoa kai Esperia"? Thanks! I'll include it in AWOL. The link to Amphora appears to be broken. recently I saw, that the Akdeniz University of Antalya has also an online publication. It's called "CEDRUS - The Journal of Mediterranean Civilisations Studies". There has just two volumes been published. Your website is excellent. It provides a unique and invaluable service. Thanks for your note. Actually many of the titles listed here are jot also listed in DOAJ. DOAJ's is more restrictive in its definition of open access than I am. Can you add our journal to AWOL? Hiperboreea is an online scholarly journal which publishes studies and articles from the field of History as well as book reviews or evaluations of scholarly conferences. Without limiting the scope of the research to a particular geographical area or historical period, the journal covers a wide range of interdisciplinary approaches and analyses on topics related to Cultural History, Political History, Military History, Social History, Economic History and Archeology. Hiperboreea journal is indexed in international databases such as Index Copernicus, Ulrich, EBSCO, ProQuest, Directory of Research Journals Indexing, Journal Impact Factor, Genamics Journal Seek and Romanian Editorial Platform SCIPIO. Thank you, I have added it. Minerva is not Open Access. I just tried the link from your latest email and I had to pay a subscription for current issues and archive. The pdfs are in your email but not accessible from the site. Dear Charles, I'm writing to present our journal of Classical and Oriental Philological Studies - PRINCIPIA - of the State University of Rio de Janeiro. I would ask you to consider to add our journal. Thank so much for your work. It has been of extremely help to scholars and students! Thanks for your note. Prinicipa is already in this list as well as http://ancientworldonline.blogspot.com/2014/12/spanishcatalanportugese-journals-on.html the list of open access Spanish/Catalan/Portuguese Open Access Journals on the Ancient World. Apulum is apparently no longer open access. I have removed it. The link to Antiguo Oriente appears to be broken. Thank you very much Charles for this excellent collection! Thanks very much for bringing Talanta to our attention Winfred. I've added it to AWOL. Does your list have オリエント (Orient)？ It's the most popular academic journal for studies of Ancient Near East in Japanese. Extraordinary list. Thanks so much to the people who make this list possible. Often times it's the result of a single person within these organizations working to make these resources available to all. And of course a huge thanks to AWOL whose sustained focus on disseminating quality, open historic resources has played a gigantic roll in gradually expanding this list over time. Thanks for pointing them out, I'll add them! Many thanks and a splendid new year! Thanks! I will add it later today. Thanks for pointing that out Matt. Fixed! Could you kindly add our journal to the AWOL list? Colloquia Maruliana are devoted to the study of Renaissance Humanism in Croatia, which necesarily includes the reception of classics. Thanks for mentioning it, I added it today! «FuturoClassico» is a new interdisciplinary journal and it is the emanation of the Interuniversity Research Center for Studies on the Tradition (Universities of Bari, Republic of San Marino and Padova). His purpose is to promote the cooperation of scholars in many different areas of the Humanities on the theme of the tradition and the reception of classical civilization and Late Antiquity in medieval, Renaissance-humanist, modern and contemporary times. Thanks for letting me know. I have added it.